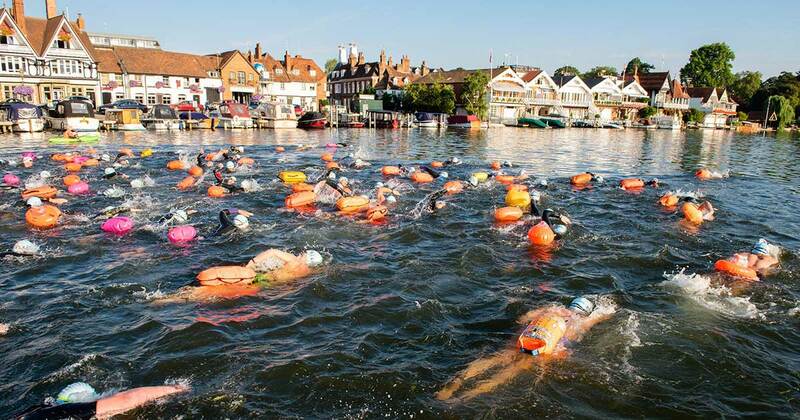 The Thames Marathon, now in its 9th year, is a 14km long-distance challenge swim from Henley-on-Thames to Marlow. It covers a beautiful stretch of the Thames and has become one of open water swimming’s most prestigious marathon swims. The swim is split into 4 sections. Swimmers will be required to exit the water at the 3 locks (Hambledon at 4km, Hurley at 10km and Temple at 11.8km) where food and drink will be available. Participants have the choice of waves – the first three waves will be for faster swimmers wanting to compete against the clock, with those expecting to finish in 3hrs 30 minutes swimming in the first wave. There are a limited number of non-wetsuit places available. Applications for non-wetsuit places will open at the same time as registration for wetsuit places.